Home Health professionals Medical What causes hair loss? Hair loss is a phenomenon that can affect both body and scalp hair. The most common cause of baldness is hereditary hair loss that comes with age and can occur suddenly or gradually over time. Hair loss is often the result of family genetics. Male and female-pattern baldness are therefore hereditary, which means they affect family members, are passed from one generation to the next and have predictable patterns. 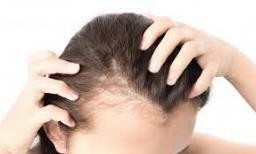 In men, this usually translates to bald spots and a receding hairline, while in women, hereditary hairlessness often presents as an overall thinning of the hair. Fluctuations in hormones due to pregnancy, thyroid problems and menopause can all trigger hair loss. Patchy hair loss can also be caused by medical conditions such as alopecia. In addition to these causes, ringworm on the scalp can cause hair loss and mental illnesses like the hair-pulling disorder trichotillomania can cause self-induced hair loss. When cancer, arthritis, depression and heart patients take certain medications, one of the side effects is often thinning hair. This is especially the case for cancer patients who undergo radiation therapy on the head, as the treatment may prevent their hair from growing back in the same way. Finally, rapid hair loss over several months can follow a traumatic or life-changing event. due to unhealthily high stress levels Events like the death of a loved one, a loss of financial security, being victimised in a serious crime or undergoing extreme pressure at work are all examples of life events that can trigger hair loss. "When you're a nurse you know that every day you will touch a life or a life will touch yours."